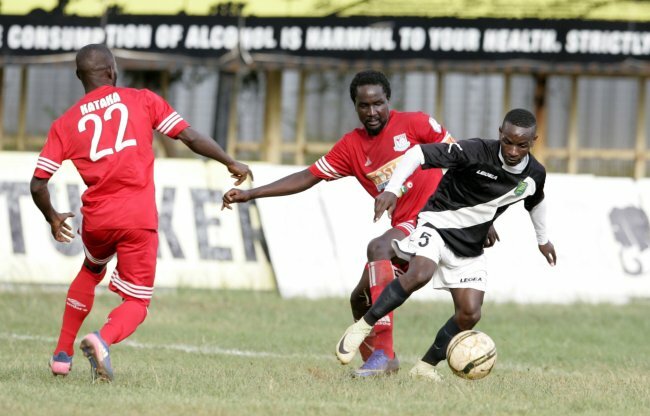 Zoo Kericho guaranteed their safety in top flight football on Wednesday while condemning Thika United to an anxious week of relegation worries. They beat Thika United 2-1 at the Kericho Green Stadium in a match that the home side dictated the pace from the whistle. Thika appeared vulnerable and trailed the hosts by two goals at halftime. Nicholas Kipkurui, whose season performance has earned him many potential suitors heading into the December-January transfer window, opened the scoring in the 15th minute with an easy tap in off a cross from Mike Madoya. The Kericho-based team doubled their lead in the 39th minute through little midfielder Dominic Ouma who put away corner kick from the influential Madoya. Shami Kibwana who had missed two good chances for Thika United in the first half, finally found the target in the 56th minute after getting on the end of a good pass from Eugene Mukangula. The result sees Zoo Kericho climb to 12th on the table with 40 points while Thika United remain 16th with 35 points and in real danger of dropping down for the first time in almost two decades. Zoo Kericho will face Sofapaka in Narok in the final round of matches on Saturday, while Thika United tackle Bandari at their Thika home ground in a do-or-die encounter. Saturday, November 18: Gor Mahia v SoNy Sugar (Nairobi City Stadium), Nzoia Sugar v Kakamega Homeboyz (Mumias Sugar Complex), Nakumatt v Kariobangi Sharks (Nyayo National Stadium), Chemelil Sugar v Western Stima (Moi Stadium, Kisumu), Muhoroni Youth v AFC Leopards, Thika United v Bandari (Thika Stadium), Sofapaka v Zoo Kericho (Kenyatta Stadium, Machakos), Ulinzi Stars v Tusker FC (Afraha Stadium, Kericho), Posta Rangers v Mathare United (TBA).